Dead Cells is a rogue-lite, Castlevania-inspired action-platformer, allowing you to explore a sprawling, ever-changing castle… assuming you’re able to fight your way past its keepers. To beat the game, you’ll have to master 2D “souls-lite combat” with the ever-present threat of permadeath looming. No checkpoints. Kill, die, learn, repeat. We already previewed Dead Cells recently, so if you want more information about the game just go here. At Gamescom we had the pleasure of talking with Motion Twin as they showcased the lates update of the game. 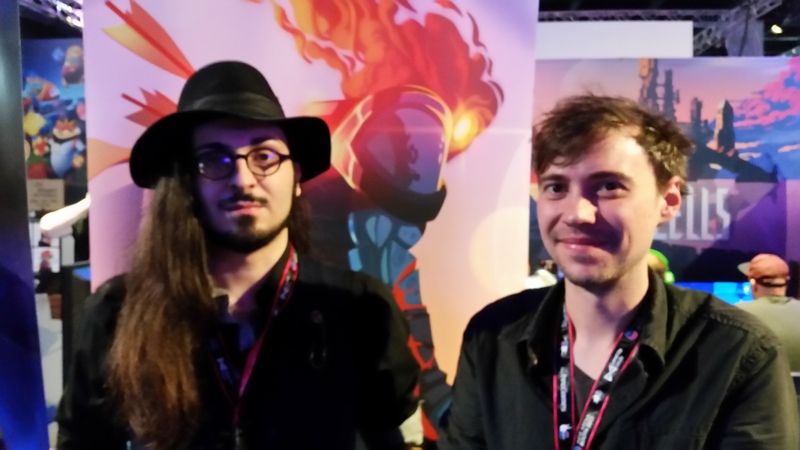 Dead Cells is a success and when we asked them about it, they said that they only wanted to make a game that they loved and wanted to play themselves. They are happy that things are catching up and are focusing on adding more content like levels, items and more. For more info on Dead Cells, check out the game’s Steam page, Website and Facebook Page.